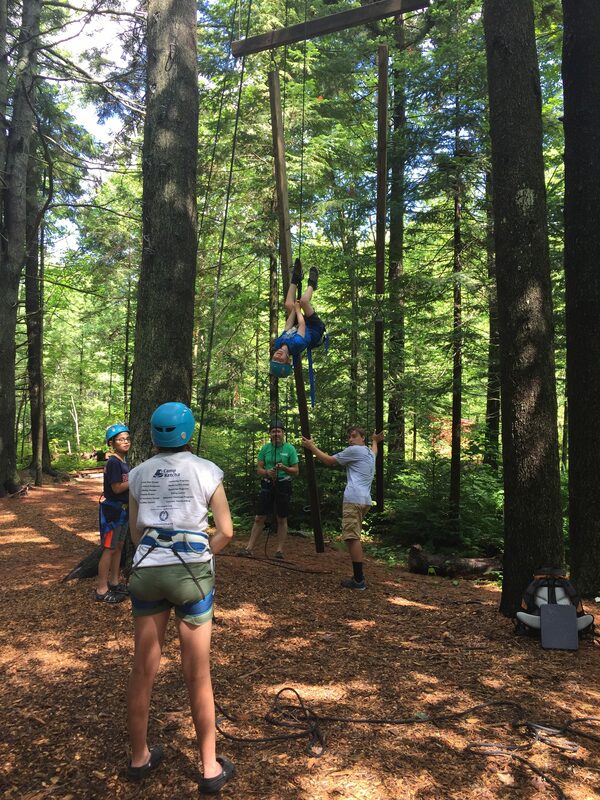 This ropes specialty camp is designed for adventurous campers who enjoy our ropes course. They work through team and individual challenges on high and low ropes, learn knot tying and how to belay fellow campers, review equipment safety and maintenance and improve teamwork and communication skills. Campers in the 7-9 age group will visit Salt Pump in Scarborough for a day of climbing and campers in the 10-14 age group will have a sleepover at Salt Pump.